Many people have a Will that instructs how their assets should be divided and distributed after their death. However, a Will only determines the division of probate assets; a Will does not govern the division of non-probate assets. Why is planning for non-probate assets important? Make sure they reflect your current wishes. For example, does the designated beneficiary name an ex-spouse who you no longer wish to receive the asset? Consider what happens to assets that will pass to minor children or beneficiaries with special needs. What can I do to properly plan my non-probate assets? You should review your designated beneficiaries and how your non-probate property will be distributed. If you are interested in learning more about probate and non-probate assets, or would like to review that your designated beneficiaries of your non-probate assets are appropriately named, please call the office to schedule an appointment. We would be glad to meet with you for a no hassle initial consultation, free of charge, no matter how long it lasts. A Will: All moms should have a Will. A Will sets forth mom’s “rules” for what happens with mom’s assets and things that are important to her, possibly protecting assets for children, naming someone mom trusts to be in charge of carrying out Mom’s rules (an Executor), and helps mom be sure that everyone plays nice when it comes to dividing mom’s assets after mom’s death. A Durable Power of Attorney Instrument: A Durable Power of Attorney Instrument appoints someone to make financial decisions and carry out financial tasks for mom if she is alive but can’t make decisions for herself or handle the finances herself. The person appointed should be someone mom trusts to step in to keep things running smoothly. Health Care Instructions: Health Care Instructions appoint someone to make medical decisions for mom if she is alive but can’t make medical decisions for herself. Mom should chat with this person in advance to discuss her preferences for medical treatment, thoughts on medical treatment and care, and end of life decision making. Provision to Protect Mom’s children: If mom has a child (or children) younger than 18 years of age, mom should appoint a Guardian to care for her child(ren) so that mom is sure the person who will raise the child is trustworthy, responsible, and will raise the child in a way that mom will approve. If you are interested in learning more about helping mom protect herself and what is important to her, please contact the office. We would be glad to meet with you and mom for a no hassle, no charge meeting to discuss mom’s goals for her assets, family, and future. Things may change: If you have drafted estate planning documents many years ago, many things in your life may have changed. Your estate planning documents should express your current wishes, should properly plan for your current financial status, and should achieve your current goals for your family and assets. People may change: You may have drafted estate planning documents prior to getting married. Or, maybe you drafted estate planning documents when married and now are divorced. You may have children or grandchildren who have entered your life. Sadly, relatives or other loved ones may have died or left your life. Your estate planning documents should reflect the people who you currently want to provide for and protect. Laws may change: Your estate planning documents may not properly conform with current laws to achieve certain estate tax planning benefits or may lack language necessary to comply with asset protection for a spouse who requires long term care or a loved who is receiving government assistance. Trusted agents may change: Your estate planning documents name people who are responsible for carrying out your wishes if you are incapacitated or after your death. Are they still the right people for the job? It is important that your estate planning documents appoint people that you currently trust to make important financial and medical decisions for you and your estate. Medical conditions may change: Does a beneficiary (young or old) require long term care or have special needs that did not previously exist? Might that be the case in the foreseeable future? With proper planning and updating, your assets can be preserved and protected for beneficiaries with special needs. If you are interested in learning more about the importance of reviewing your estate planning documents, or if you would like us to review your estate planning documents with you at no cost, please contact the office. We would be glad to meet with you for a no hassle, no charge meeting to review your documents with you. Many people have asked “what is estate planning?” Put simply, we help protect the people and “stuff” that’s important to you. At the most basic level, it includes protecting you! If you are over the age of 18 you should have documents in place to protect yourself, whether you have zero dollars or one million dollars. We help you exercise your right to appoint someone you trust to make medical and financial decisions for you if you are alive but can’t make decisions on your own for any reason. I know, it will never happen to you, right? You will live forever and you will never get sick or injured in a way that will prevent you from managing your finances or making medical decisions. Sadly, crazy things can and do happen to young people – just scroll through your Facebook feed. Seriously, think about it. Imagine that you are alive but you’re knocked out in the hospital for a few weeks. Who would pay your mortgage, rent, or utilities? Who can access your bank accounts, online or in person, to use money to pay these bills? Don’t just assume a spouse or parent can access these accounts because that assumption may not be correct. In addition to finances, who is in charge of making medical decisions for you? Your spouse? Your parent? Can this person access all of your medical information? 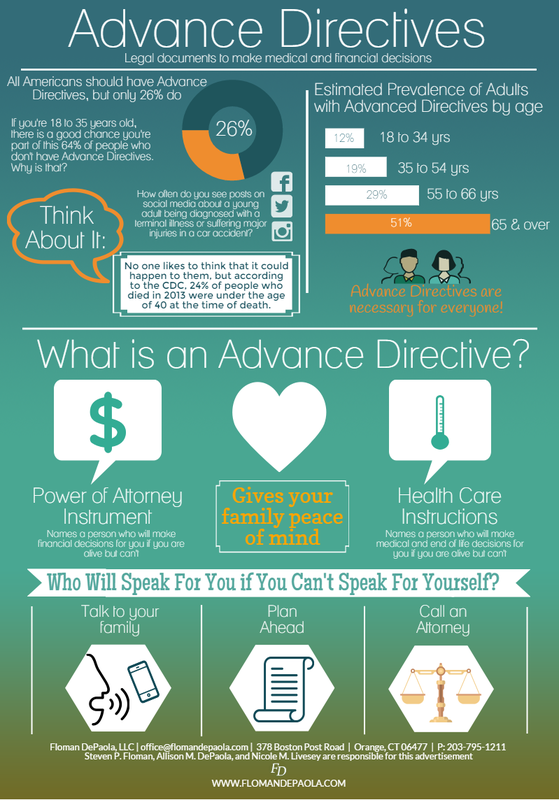 What happens if your family members start fighting over what medical procedures should be done to help care for you? Who gets the final say? Most importantly, don’t you get a say in all of this? Shouldn’t you get to choose who makes these important life decisions about you and shouldn’t that person follow your specific wishes? The answer is yes, you do get a say if you properly plan and have legal documents. You have the power to choose who you want to make decisions for you if you’re alive but cannot make decisions yourself. You have the power to make advance decisions so that your wishes are known. Wouldn’t you rather choose a person you trust to make financial and medical decisions for you than have someone appointed to make these decisions for you? The problem is that if you don’t proactively choose, and you are incapable of making these decisions, it may be the only way decisions can be made is by involving a Probate Court to appoint someone to make these decisions for you. The person the Court appoints may not be the same person you would have chosen had you exercised your right to choose. If you’re over the age of 18 these are adult decisions you need to make right now. We’ve made it easy for you to take the first steps toward taking control of your financial and medical decisions. Simply answer these ten questions and we’ll contact you to help you finalize your wishes. Complete here! If you’re a DIY type person we’re happy to meet with you over Skype or Hangouts and then give you instructions for signing the forms on your own time, without having to come in to our office. If you have questions and like face-to-face time, or just want to come chat with us and check out the office, we’re happy to meet with you and execute the documents with you. One last thing – if you’re wondering if you can find a free “fill in the blank” template online that you can edit, the honest answer is yes, those templates are available…but is using a template wise? We’re talking about a legal document that must be tailored to your finances and circumstances, properly drafted and properly signed to control your important financial and medical decisions! We’ve spent countless hours carefully crafting our documents so that they not only comply with the State of Connecticut but they also cover decisions and topics that most templates don’t include. Our recommendation is to do it right, use an attorney who regularly practices in this area of law, and protect what’s important to you. The obligatory legal disclaimer: Filling out this information sheet does NOT establish an attorney-client relationship. An attorney-client relationship will ONLY be formed after you decide you want to engage us and we want to work with you – which will require that both of us sign a letter that our office will prepare. The information in this post is not legal advice. You should not rely on this information and you should always seek the advice of a competent attorney in your state who will tailor legal advice to your particular facts and circumstances. 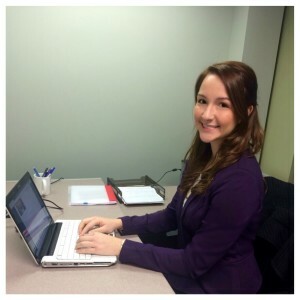 I am so thankful that I pursued an internship at Floman DePaola. I learned a great deal about estate planning and was able to see the concepts I learned about in law school applied practically. This was an experience that cannot be duplicated in a classroom. After observing Allison and Steve, I know my own ability to counsel clients, to simplify complicated issues, and to manage my career has benefitted. Allison and Steve are passionate about their work and this shows in everything they do. I felt that they truly cared and did everything in their power to make sure I achieved my goals for this externship. Everyone within the law firm shares this same passion and it makes for an excellent work environment. I am so proud to say that I was a part of this team. I left this position with a direction for my career and I cannot thank Floman DePaola enough. There are currently fraudulent IRS phone calls being made to individuals all around the country. 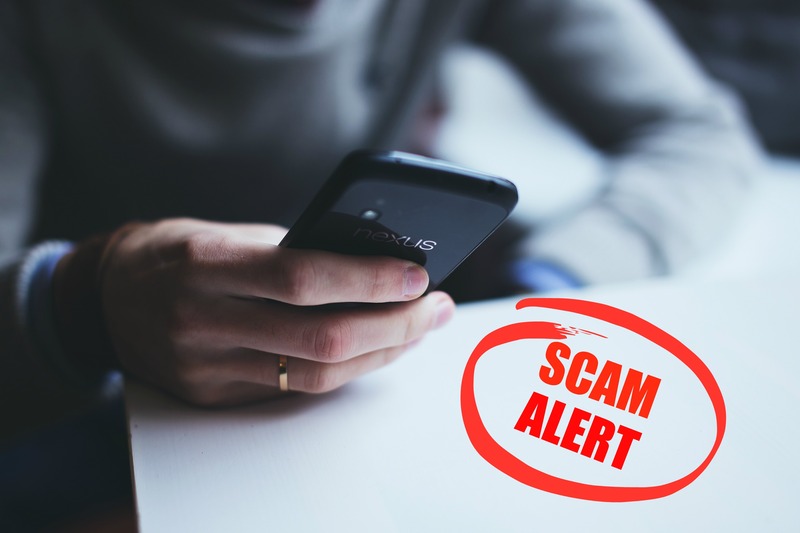 We have recently gotten phone calls from some clients, alerting us to phone calls they have received from persons claiming to be IRS representatives, and asking for the disclosure of social security numbers and banking information. These aggressive and sophisticated phone scammers call, claiming to be employees of the IRS, but they are not. Although these con artists can sound convincing when they call, you should be alert to the fact that they may not be who they claim to be. Scammers use fake names and IRS identification badge numbers. They may know a lot about you and also may have altered the caller ID to make it look like the IRS is calling. Victims are told they owe money to the IRS and that the money must be paid promptly through a pre-loaded debit card or wire transfer. They may also ask for social security numbers and other personal information that should not be shared over the telephone. If the victim refuses to cooperate, the scammers may use scare tactics, threatening arrest, deportation or suspension of a business or driver’s license. In many cases, the caller can even become hostile and insulting if information is not readily provided. Another tactic being used by scammers is to tell victims that they have a refund due to try to trick them into sharing private information. They may also leave an urgent call-back voicemail if you do not answer the phone. 5) threaten to bring in local police or other law-enforcement groups to have you arrested for not paying. •	If you know you owe taxes or think you might owe, call the IRS at 1-800-829-1040. The IRS workers can help you with a payment issue. •	If you know you don’t owe taxes or have no reason to believe that you do, report the incident to the TIGTA at 1-800-366-4484 or at www.tigta.gov. •	If you’ve been targeted by this scam, also contact the Federal Trade Commission and use their “FTC Complaint Assistant” at FTC.gov. Please add “IRS Telephone Scam” to the comments of your complaint. Every so often our Facebook newsfeed is inundated with posts from Facebook users declaring that Facebook is prohibited from sharing their personal information, pictures, or content. Do these posts really work? The short answer is “No.” As the owner and operator of the site, Facebook has the right to set the terms and conditions of users accessing their site. By accessing and using Facebook you automatically agree to Facebook’s terms and conditions. 1. Draft an inventory list of your digital assets, such as email accounts, Instagram photos, Twitter accounts, LinkedIn profiles, credit card points, hotel points, airline mileage, Etsy shops, domain names, PayPal account, Bitcoins, or Amazon or other store credits. 2. Appoint a Facebook “legacy contact” who can manage your account after your death. This person has the ability to share a final message, update pictures, or respond to friend requests. This person cannot remove or change past posts or photos, read private messages, or remove friends. Alternatively, you may choose to have your account permanently deleted after your death. 3. For other digital assets, it is important to draft a legal document that names the person or people who will have access to these accounts so that your digital assets can be protected and preserved if something happens to you while you’re alive, or after your death. 4. Provide instructions in a memorandum so that the person or people you selected to manage your digital assets know what to do with your digital assets. If you are interested in learning more about protecting your digital assets please call the office to schedule an appointment. We would be glad to meet with you for a no hassle initial consultation, free of charge, no matter how long it lasts. 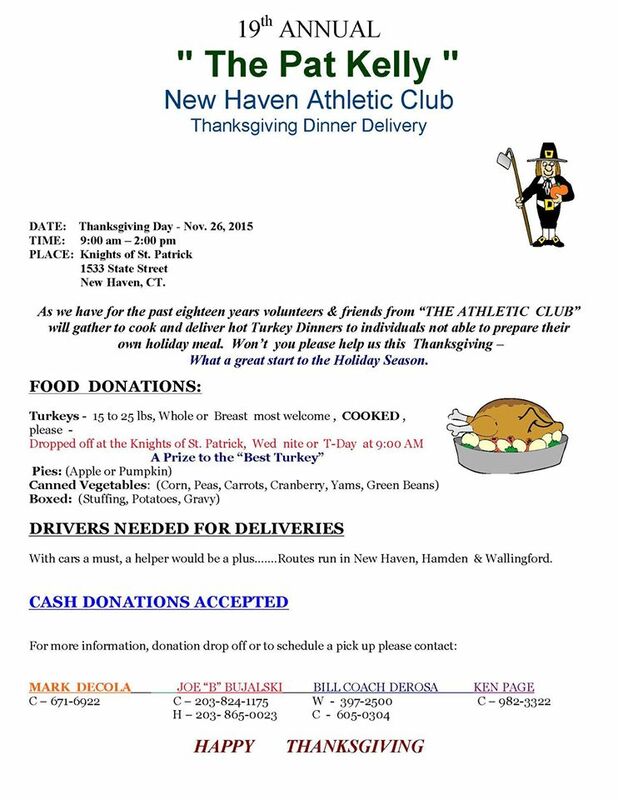 With Thanksgiving only a couple of day away- we’re sharing this to help spread awareness of this incredibly kind and generous charity event that is held annually by the Athletic Club of New Haven. Thanksgiving morning a group of volunteers gather to collect donations of prepared foods in preparation for delivery of a COOKED Thanksgiving meal to elderly men and women that are considered “homebound.” These men and women do not have the ability to prepare a holiday meal of their own, and, in most cases, do not have family or friends to share the holiday meal with. If you know anyone in a similar situation that is in need of a holiday meal or would like to donate to this thoughtful cause, please contact a person on the ad below. As always, every donation counts! Another example of putting the Giving in Thanksgiving! What an wonderful time of year! Happy Halloween from all of us at FD! We wish you all a safe and happy Halloween! 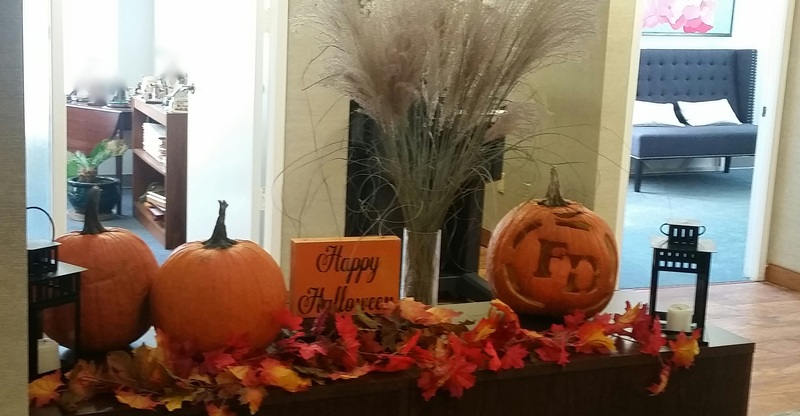 Check out our very own “FD” pumpkin carved by paralegal Staci Pecor – it’s been a smashing hit with clients who have visited the office this week!